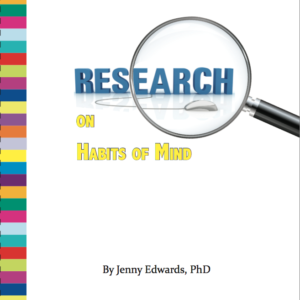 Teaching students the intelligent behaviors they need to succeed in school and later in life is much easier when you have this collection of stories and observations from teachers who have used the principles of ASCD’s book Learning and Leading with Habits of Mind in their classrooms. 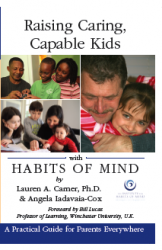 Through these first-hand accounts, learn how the habits of mind help students at all grade levels successfully deal with the challenges they face in school and beyond. Explore how teachers make thinking skills a foundation of curriculum, not an add-on. And discover lots of model lessons and teaching strategies that weave the habits of mind into daily instruction in language arts, math, social studies, and other subjects. Here’s your chance to benefit from the many schools that have adopted the habits of mind and infused them into their curriculum, instruction, assessments, and school culture. 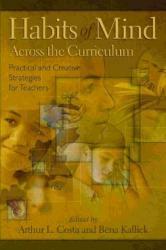 (ASCD book, 2009) 6″ x 9″, 236 pages. Also available as a downloadable e-book!